Completing one puzzle brings such a huge accomplishment to the person who did it, as not a lot of people have the patience to execute well in such an activity. Jigsaw puzzles have this innate ability to bring out someone’s cognitive skills while figuring out where each piece will go. Hence, parents are encouraged to introduce the wonder of puzzles to toddlers and even babies. This way, their brain will be trained how to do deductive reasoning before they are even old enough to go to school. Below is an example of a puzzle that you can start with. It is a free learning puzzle from Nutrilin, a food supplement from growing children. Bigger Product Info. Someone has invented the term ‘play date’, in which parents meet up with other parents to let their children play together for a few hours. They also bring toys that can be enjoyed by a few kids. The free puzzle can be solved by the little tykes with the help of each other, and the mommies will see its helpfulness in their child’s thinking skills, so they will wish to buy something similar for their home. It increases information about the product and the on-pack promotion. Becomes a Sweet Surprise for Consumers. 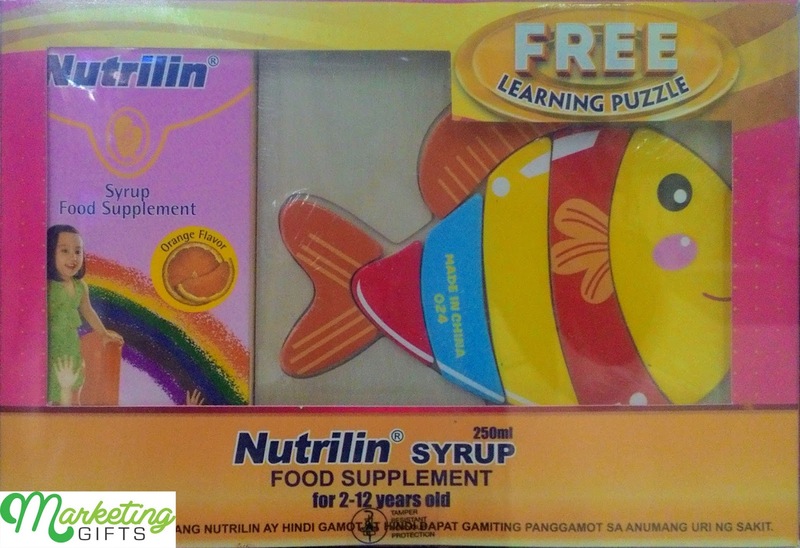 Pediatricians recommend this product to their clients because they believe in its effectivity. When they look for it at the pharmacy, they will be amazed when they realize that a promo gift is included. Their fondness towards the brand therefore is elevated. Promotes Brand Loyalty. Wise parents choose a brand not only for its efficiency but also for its affordability. Perhaps because of this gift with purchase, they will become more loyal to Nutrilin. Concentrate on more promotional ideas when you go to the Marketing Gifts blog – you may be able to market your brand without feeling burnt out because of them.